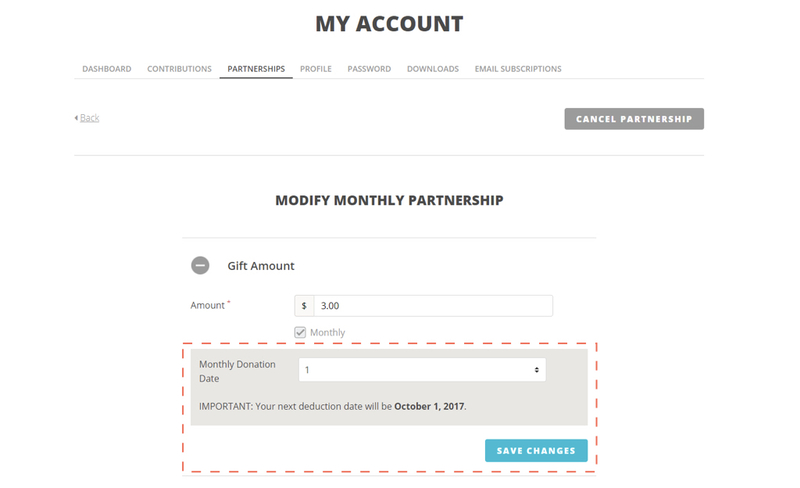 I wish to change when my partnership deductions are made each month. What should I do? Make changes to an active partnership by clicking Edit on the right-most column. Select your new deduction date in the dropdown list and click Save Changes.